Root-Pike Watershed Initiative Network, Inc. ($33,900)The Pike River Watershed Restoration Plan has identified ravine erosion along the South Pike River, especially within the Hawthorn Hollow Nature Sanctuary, as a high priority because of the major threat to water quality that it poses. 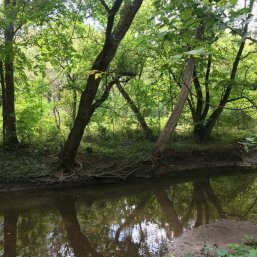 This $33,900 award therefore supports Root-Pike WIN’s project to develop engineering design plans to restore a ravine immediately north of Hawthorn Hollow on the School Creek tributary. Once the design is complete, Root-Pike WIN will approach the Natural Resources Conservation Service for implementation.